Located in Gordes, Mas de la Sénancole is within a 10-minute drive of Chateau de Gordes and Caves du Palais Saint Firmin. 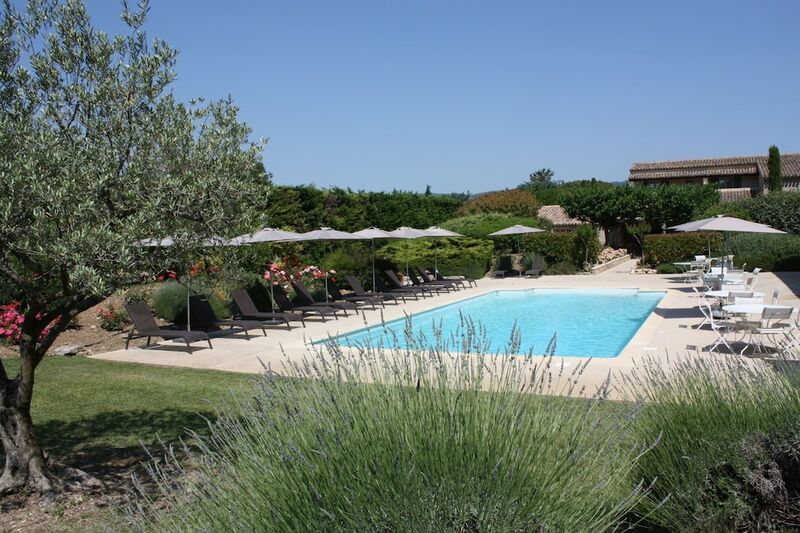 This hotel is 12 mi (19.2 km) from Alpilles and 2.4 mi (3.8 km) from Village des Bories. Make yourself at home in one of the 20 air-conditioned rooms featuring minibars. Complimentary wireless Internet access keeps you connected, and satellite programming is available for your entertainment. Bathrooms have showers and hair dryers. Conveniences include desks, housekeeping is provided daily, and cribs/infant beds (complimentary) can be requested. Take advantage of recreation opportunities including an outdoor pool and a sauna. Additional features at this hotel include complimentary wireless Internet access, shopping on site, and tour/ticket assistance. Enjoy a satisfying meal at L Estellan serving guests of Mas de la Sénancole. Quench your thirst with your favorite drink at the bar/lounge. Buffet breakfasts are available daily from 8:00 AM to 10:00 AM for a fee. Featured amenities include complimentary newspapers in the lobby, a 24-hour front desk, and multilingual staff. Planning an event in Gordes? This hotel has facilities measuring 861 square feet (80 square meters), including conference space. Free self parking is available onsite.